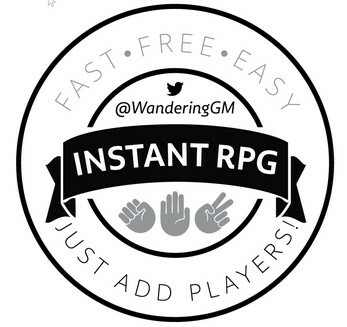 Instant RPG is a free, downloadable role-playing game which you can learn in the time it takes to read the business card it fits on. One side explains how to play, the other side teaches you how to run the game, which in turn teaches your fellow players how to play and run the game. You won't need any pencils or notepaper, or even any dice! As long as at least one player knows how to play rock/paper/scissors, you are ready to start - Just Add Players! You could print your own copy for your wallet, just use the digital file, or even use our mobile web version on your phone and swipe between sides of the card! Whatever is easiest for you should be available. 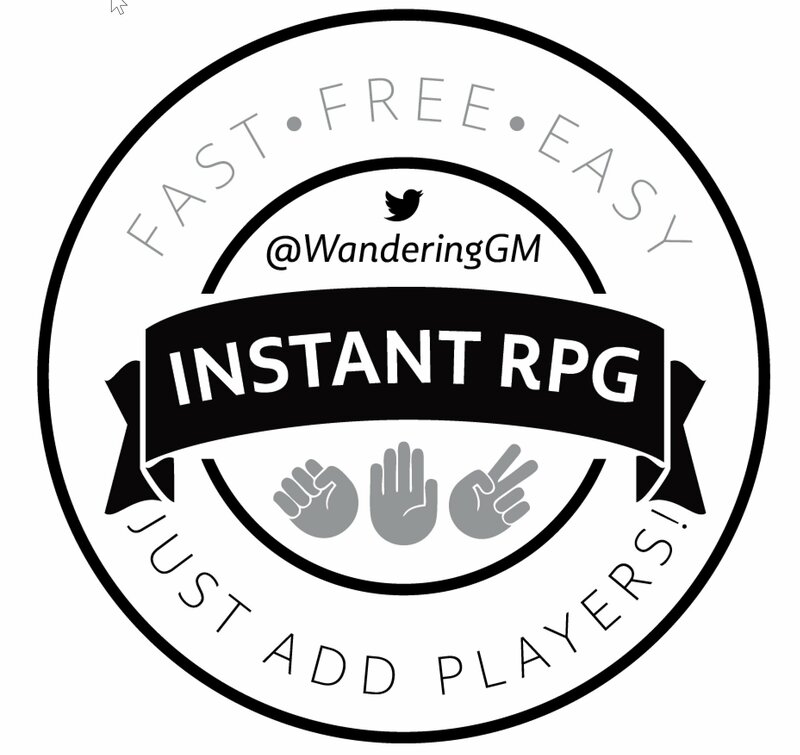 If you have any suggestions on how to make the base game more accessible, or expansions to help you make it more interesting, please let me know. This original work by Torrey Keown (@WanderingGM) is licensed under a Creative Commons Attribution-ShareAlike 4.0 International License. The short version of this is that you may share this in other forms as long as the original author's name and license are attached, but advise the reader of any changes you have made. Any games directly derived from this must be shared under the same license.